Amazon made a big splash during its Kindle Fire announcement by introducing the cloud-powered Silk browser, which looks to unload a lot of the data processing behind rendering a webpage to the cloud, and ultimately make your Internet browsing faster and consume less data. The thing about this is that Opera has been doing something quite similar to this since the days of dial-up with Opera Turbo. In new updates to the Mobile (11.5) and Mini (6.5) versions of its browser, Opera wants to highlight this feature with a new Data Usage tracker to show you just how much data you're saving. To be fair, Opera Turbo started out as a service that just downgraded image quality on the fly to speed up page rendering, which is far less than what Amazon's Silk browser promises to do, but Turbo has evolved to be quite similar to Silk's cloud back end, and so Opera claims it can help you see a drop of up to 80% in your data usage by compressing image and video quality and moving the processing to the cloud. To highlight these savings, Opera has added in a new Data Usage view, so you can see exactly how much data you're saving. In informal testing on a Nexus One, Opera Mobile did feel faster than other browsers, and even better for those of you with limited internal storage, Opera Mobile has finally moved its cache to SD instead of bloating your app storage. 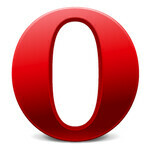 Opera Mobile and Opera Mini are available for free in the Android Market. Opera; one of the most underrated softwares. Plugging tab-based browsing into daily usage, offering cloud service, Opera Turbo for desktops / Opera Mini for mobiles, mouse gestures... Quite the pioneer of browsing for last decade. yes, I was with opera from version 6 or somthing like that. It had tab browsing way before competitors ( though back then, there wasnt really that much browsers.) by the way, in the desktop opera, its been showing how much you save from turbo since versin 11. I've been using opera since my Sony w580i back in 2007: still use it on all my androids as default.